Graveside services for Carolyn “Maw” Brown Taunton, 92, of Butler, will be held on Friday at 3:00 pm at Butler Memorial Cemetery. Visitation will be held from 1:30 until 2:30 pm at the funeral home. 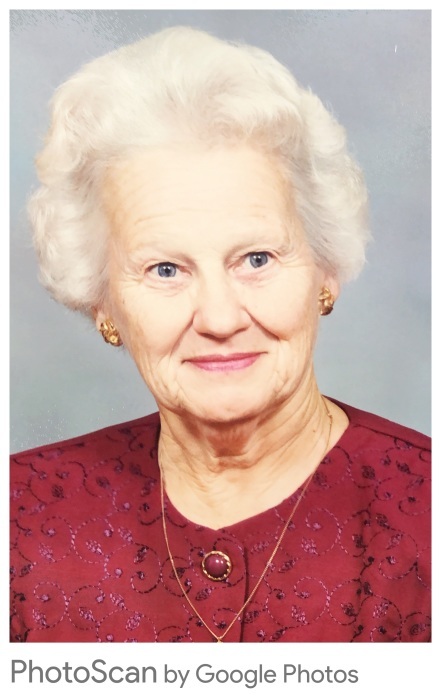 Mrs. Taunton passed away on Tuesday, April 9, 2019 at her residence. She was a member of Butler United Methodist Church. She was employed with Robins Air Force Base for several years. She retired in 1988 from the USDA – ASCS office after 28 years of service. After retiring, she worked in the Taylor County Probate Office and Citizens State Bank, Butler. She was preceded in death by her parents, James Henry Brown and Sara Emma Butler Brown; husband’s, Fred B. Coward, Sr. and Hilton E. “Bill” Taunton; two grandsons, Kel Foster and Timothy Taunton; and two sons, Dwayne Taunton and Dr. E. Glynn Taunton. Survivors include her children, Patricia Foster (Kelley) of Butler, Linda Bone (Hillery) of Pensacola, FL, Benny Coward (Dee) of Panama City Beach, FL, Jimmy Coward of Butler and Amelia T. Jones (Steve) of Reynolds; daughter-in-law, Pam Taunton of Warner Robins; grandchildren, Darlene Sanders (Damon) of Columbus, Tracy Taunton of Albany, Wendi Martin (Tommy) of Oglethorpe, Kenny Jones (Patricia) of Forsyth, Jamey Taunton (Joni) of Warner Robins, Tara Johnson of Warner Robins, Ginger Edmondson (Wayne) of Butler, Brandie Word (Brian) of Reynolds, Ryan Coward (Nicole) of Burlington, NC, David Windham (Brooke) of Butler, Brooke Coward of Panama City, FL and Kristen Peaster (Jason) of Warner Robins; sixteen great-grandchildren also survive. The following grandsons will serve as pallbearers; Ryan Coward, David Windham, Wayne Edmondson, Tommy Martin, Damon Sanders, Braden Sanders, Kenny Jones, Tracy Taunton, Jason Peaster, Jamey Taunton and Brian Word. In lieu of flowers, memorial donations may be made to: Butler Memorial Cemetery Fund, Butler United Methodist Church or a charity of choice.